A couple months ago, I spoke to the new International Harp Therapy students. 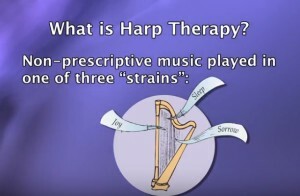 In preparation for our call, the host asked me to speak about how I came to the harp, how I got interested in harp therapy and how I currently “structure” my harp therapy business. It was an honor to be present with this group! This was very affirming and validating, and it reminded me of this quote from an unknown source, “Difficult roads often lead to beautiful destinations.” I feel blessed to have worked through lots of issues and situations to get to do the beautiful work that I am called to. Indeed, it has been an interesting journey to get to this beautiful destination! Speaking again for your group/organization?! In the past blog posts, I mentioned the Virtual Harp Summit that I “attended,” including utilizing some of this information for the harp therapy community. It has been fun to create new presentations, trainings and retreats based on the 50+ hours of Summit learnings. Even if I have already spoken to your group/organization, it might be time for a re-visit!! If you are interested, let’s connect! My friend and I worked with one woman and then, we were asked to work with a man who was being transferred to a nursing home, going into hospice care. The harp therapy and Healing Touch treatment calmed both the patient and his lovely wife. A sacred time, the whole experience felt very holy. As my friend finished charting, I put my harp in its case. The young man (who we’d met on the elevator) and his wife with their new baby were strolling past the dying man’s room…the circle of life. I recently completed coursework from the “Beyond Surgery Program.” After attending the 18 hours of required training, I am now a Surgery Coach Practitioner. I am networking to locate three surgery patients that I can coach. Once I have completed this, as well as documenting these experiences, I will be a Certified Surgery Coach through the American Holistic Nurses Association. In mid-August, a group of harp therapists from the Midwest met in Cedar Falls, IA. We had a great time, but also got up-to-date information on the latest “happenings” from around the world. I presented a session on “Self Care for the Harp Therapy Practitioner.” It is a topic I’m very passionate about! With a few “tweeks,” I’ll be making this session available to other healthcare professionals. It’s so new that it’s not on my website yet, but watch for up-dates … coming soon! In the meantime if you want more info, please e-mail me. This weekend, several students and graduates of the International Harp Therapy Program (IHTP) will gather in Cedar Falls, Iowa for a conference. We will have several presentations on different topics, healthy food, time to connect … and oh yes, time to jam! Having a room full of harps and harpists who love to play is so much fun and you can imagine the energy … as we raise the vibration, we feel like we can levitate right out of the hotel space!! 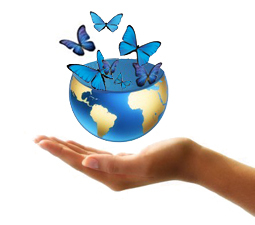 April 12 – the St. Paul chapter of The Compassionate Friends monthly meeting. 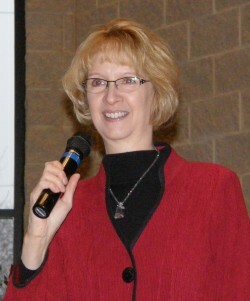 “Sounds of Healing: Using Music in the Grief Journey,” Beaver Lake Lutheran Church, 2280 Stillwater Ave., Maplewood, MN, 7 p.m.
April 16 – Minnesota Network of Hospice & Palliative Care annual conference. “Sounds of Healing: Music and the Caregiving Journey,” Airport Hilton Hotel, Minneapolis, MN, 10:45 a.m.
April 28 – South Dakota Parkinson’s Association annual conference at the Sioux Falls Convention Center. Parkinson’s is “near and dear” to my heart – I lost an Uncle to Parkinson’s and my beloved Dad is currently journeying with it. Click here if you’d like more information about my presentation on this topic. poignant moments, practical tips and peace. new ideas about using therapeutic music with intention. an inspirational message and immediate application. If you are interested in having me conduct a presentation at your location, I welcome these opportunities. Click here for more information. I look forward to working together! Of all my CDs, I get the most feedback on Calm as the Night. Since 70 million Americans have sleep difficulties, perhaps Calm as the Night can help … it is a non-pharmaceutical approach and is available as a CD or download. My intern recently compiled a list of Sleep Centers from around the country. In the near future, I will be contacting them, sharing Calm as the Night as a resource. I am excited to connect with them and the possibilities of providing this CD to their patients/clients. In May 2006, I began volunteering with Barb Schommer (Certified Healing Touch Practitioner/Instructor) at Woodwinds Health Campus in Woodbury, MN. We are excited to announce very positive results! The complete report will be available soon … please contact me at tami@MusicalReflections.com if you would like a copy. Musicians could and do change the world through their music.